Yesterday I embraced the cold weather and headed to Towneley Park in Burnley for Jessica and John’s engagement shoot! As the snow had been following all week, we had a walk around the woodlands and the Hall grounds to find the best snowy spots!! With the snow as a backdrop and the sun shinning brightly it truly was a beautiful morning. 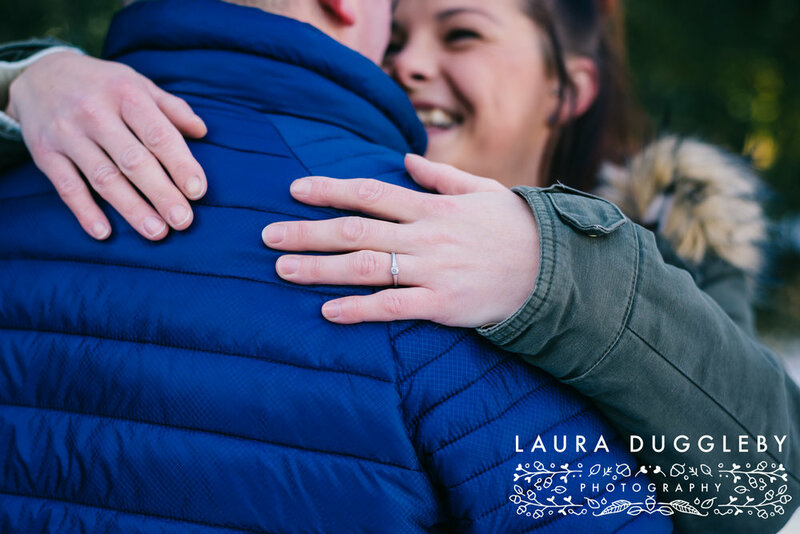 Jessica and John are getting married this year at The Stables Hotel and it was lovely hearing all about their rustic themed wedding.